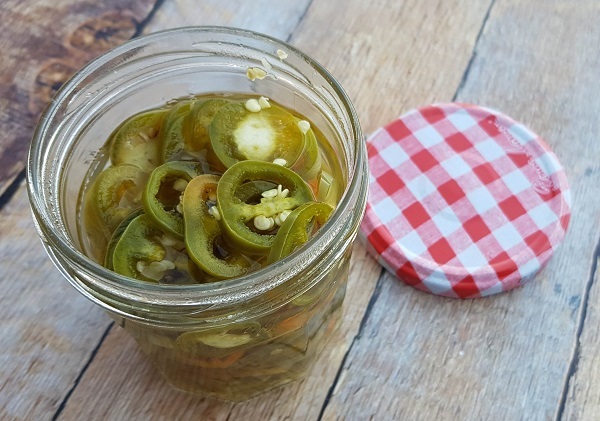 Pickled green chillies are a popular condiment back in Malaysia, and most commonly served as an accompaniment to hawker stall dishes like wantan mee (wonton noodles). I make this only very occasionally, since I don’t often eat wonton noodles myself, and in all honesty, I don’t really measure the ingredients that go into it. Nonetheless, for your sake, here are my guesstimates. 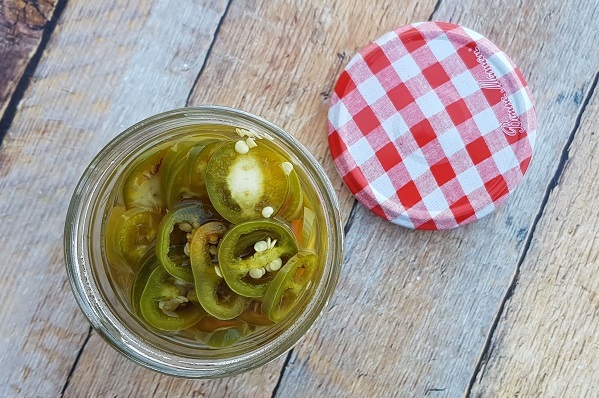 Toss chillies with salt, then transfer into jar. Combine vinegar, water and sugar in a saucepan and bring to a boil. Simmer until sugar is dissolved. Pour hot vinegar over chillies, making sure they’re completely immersed. Secure jar with lid; allow to pickle for at least an hour before use. Once opened, keep jar in refrigerator and consume within 6 weeks.